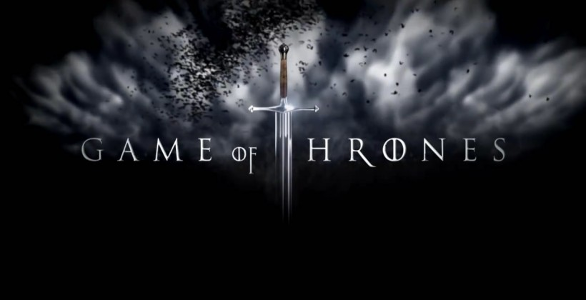 This season was when Game of Thrones’ hype in the UK finally caught up with its’ popularity over the pond in America. Season 4 of Game of Thrones has cemented its’ status as a new cultural phenomenon, and continued its’ intriguing tale of the fight for the iron throne. What this season did immensely well was focus on the close personal relationships between the characters. The cast of lords, ladies, servants and serfs has always been fantastic, but never before have they interacted with such emotion and purpose. The season’s main stories can almost be defined by the pairings of characters that have influenced the events in Westeros (and across the Narrow Sea). Arya Stark (Maisie Williams) and Sandor “The Hound” Clegane (Rory McCann) were perhaps the best, with their quest to the Eyrie continuing and their friendship growing. The weird, weird relationship between Cersei Lannister (Lena Headey) and her brother Jaime also took several twists and turns, as their role in the house that father built became more important. There were many other pairs that gave more emotional undertones to the stories, and I think these made the grand storylines more relatable. The acting talent this season has once again been extraordinary. Fan favourite Tyrion Lannister (Peter Dinklage) may have been in chains for much of the season, but still managed to be as likeable and laughable as he ever was – with his speech at the end of his ‘trial’ in “The Laws of Gods and Men” being a barn-storming highlight of all 10 episodes. Sansa (Sophie Turner) definitely wins my award for most improved character and acting performance, as her somewhat dull and dispassionate role suddenly burst into the intrigue and deceit we’ve come to expect in Game of Thrones characters. After only watching an episode or two from season 2 and 3, the quality of the show has seemed to improve this year. Everything from the sets to the costumes looks that bit better. The gruesome fight scenes and deaths were more visceral and more epic. One particular death early on in the series was simultaneously one of the most rewarding and disturbing moments of television I’ve seen in a long time. Game of Thrones sets the bar for TV in terms of production quality, and it’s no wonder given their per episode budget of around $6 million per episode. Season 4 still fell foul of not advancing the storylines enough for my liking, though. 10 episodes is a very tight timescale to tell all of the stories that the show has running, but the way in which it was done didn’t really grab me as effective story-telling. Episodes tended to cut around, with different segments of the show devoted to individual plots, which didn’t always blend cohesively. When waiting a week for each episode to air, and some storyline being skipped entirely for a few in a row, having to recall exactly what was going on with specific characters breaks the immersion a little, and when it’s such a rich world that’s a pity. I really like Game of Thrones, but this facet of it disappoints me. My favourite episode of the season was “The Watchers on the Wall”, and it was certainly helped to that status by its’ focus on events at Castle Black and how Jon Snow dealt with them. To discuss more about it would go into spoilers (which I talk about on the next page) but it had a good encapsulated story and was easier to enjoy all the things that make the show in general so good. Overall, Season 4 of Game of Thrones was the finest of the two I have watched through. As a show it is sure of itself and executes its’ own brand of story-telling very well, even if it’s not perfect. It’s going to be a long wait ‘til next April for season 5! Read on to the following page for plot discussion, with spoilers abound.